After the hurtful loss on Wednesday in Euroleague we have the opportunity to get back on the track that helped our club reach a whole new level in the past one and a half years. The game tips off at 6 pm. There are days in the life of a club when nothing goes their way. Such was for us the appearance in Greece on Wednesday, where we had the feeling that even if we played until the next day we wouldn't be able to win that game. Our defense wasn't enough for success this time, since we had a 28% shooting percentage in offense. For a while our opponents haven't been much better than us in that aspect either, but in the 24th minute at 30-18 a buzzer-beating triple from 8 meters by Sotiriou has given wings to the agile home team. There is a big contest behind Kursk, in our balanced group every single point matters, so we can be especially sorry, because we lost our advantage that we got with the two big wins against Salamanca and Hatay. However, we are still in a good position, and we will play at home three times out of the remaining five rounds in the group phase. In this rough stretch there is an easier obstacle towering in front of us this weekend. 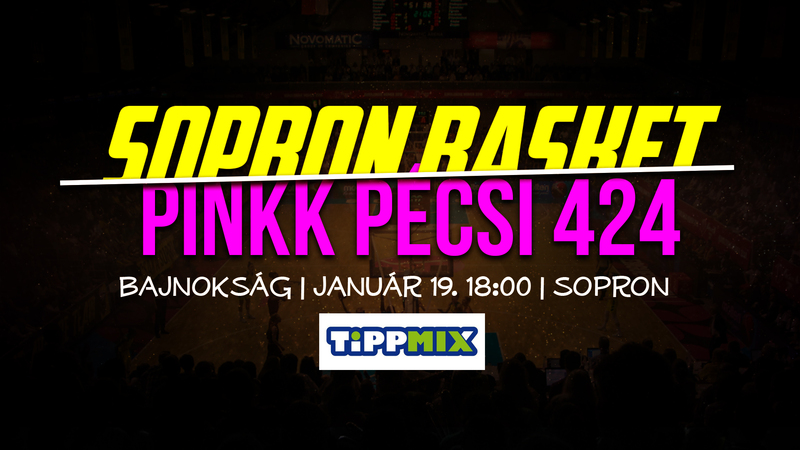 We have won by 28 points on October 13th on the home court of PINKK-P�csi 424, and looking at the power rankings we can expect a confident win this time as well. The game will be a good opportunity for us to get our slightly torn confidence back before the battle against Fenerbahce. Kamilla Varga also mentioned that in the pre-game interview. Tickets can be purchased at the venue for 1200 HUF. Entry to the game is free of charge below the age of 14 and above 70! The game can be followed via live online statistics at hunbasket.hu and via live online video stream via sport.mindigo.hu.